Mobile home tax bills were mailed on February 4, 2019. 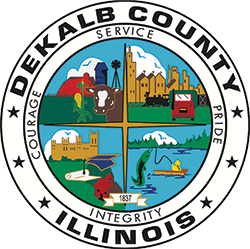 There are more than 900 mobile homes in DeKalb County, with the majority of them located in mobile home parks in DeKalb, Cortland, Genoa, Sandwich, Sycamore, and Waterman. Mobile Home Local Service Tax is only billed to owners and/or occupants of mobile homes. Johnson said, “We are pleased to be using the recently-improved billing system so that we can make our office more efficient and, more importantly, improve our ability to serve taxpayers. Anyone with questions regarding their mobile home tax bill should call Treasurer Johnson’s office at 815/895-7112.